Fujitsu GRM driver Scott McLaughlindescribed his breakthrough win at home track Pukekohe Park Raceway as the“coolest feeling of my life”. 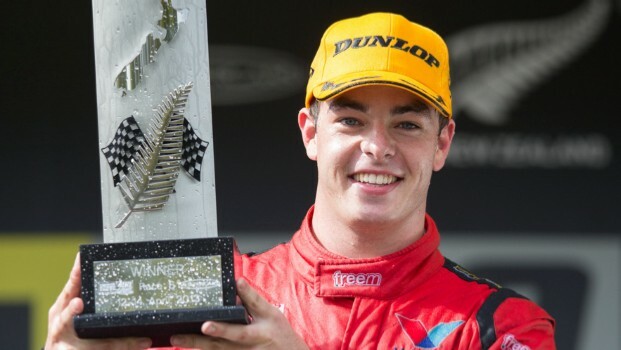 The 19-year old New Zealander has nowbecome the youngest driver to win a race in V8 Supercars/Australian Touring CarChampionship history, breaking the record held by Todd Kelly, who was 20 years ofage. Add to this the fact no one has won a racethis early in their rookie season, and it’s no wonder comparisons are beingdrawn to some of the greats of V8 Supercars. Post-race McLaughlin’s excitement wascontagious, though he was still focused on the job at hand with the second raceat the ITM 400 Auckland ahead, and two more to conquer tomorrow. “It’s something I’ll never forget,”McLaughlin said of the win. “I’m just waiting to call Mum and Dad, Ihaven’t called yet, so I’m looking forward to talking to them. McLaughlin led from lap 12 of the 35-lap,100km race, and in the closing stages Team BOC’s Jason Bright was on his tail.But the rookie managed to hold off accomplished Bright – who also has awin under his belt this season. “It was hard because I had Jason coming atme a little bit and then all of a sudden he’s dropped off and I got away alittle more. “I just tried to bring it home and it wasthe coolest feeling of my life. 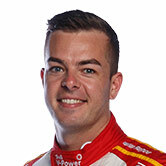 McLaughlin said it was an honour to be inthe record books of a category he followed since he was a child. He joked he was going into Race Seven with “a bit of confidence”, though he starts from ninth on the grid. McLaughlin said it would be a privilege towin the Jason Richards Memorial Trophy this weekend – and he had beenthinking about it before today’s win – though he realises there is stillplenty ahead of him.